Item Number: H20-9703KX Have a question about this item? Earring, silver-finished steel, 27-49mm etched round hoop with hinged closure. 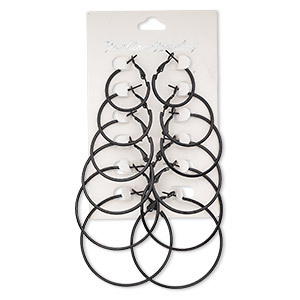 Sold per pkg of 6 pairs. 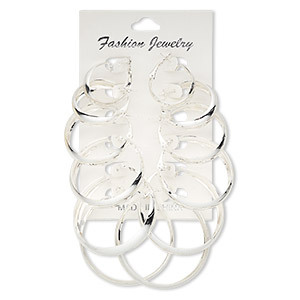 Earring, silver-plated steel, 24-51mm round hoop with hinged closure. 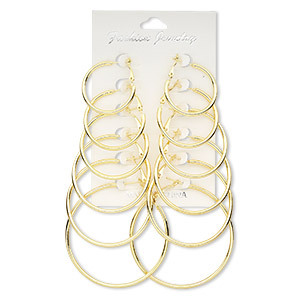 Sold per pkg of 6 pairs. 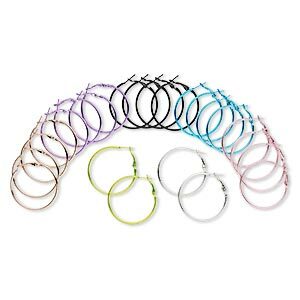 Earring, steel, assorted colors, 40mm round hoop with hinged closure. 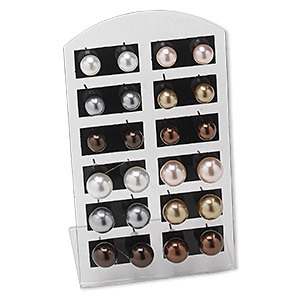 Sold per pkg of 12 pairs. 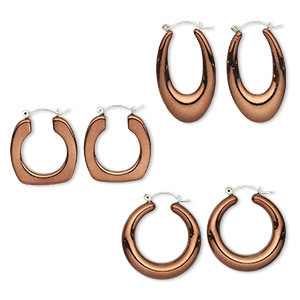 Earring, copper-plated acrylic and steel, clear, assorted 34x29mm square / 37x34mm round / 44x26mm oval. Sold per pkg of 3 pairs. 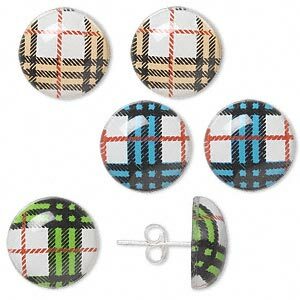 Earstud, sterling silver and acrylic, multicolored, 13mm round with plaid pattern. 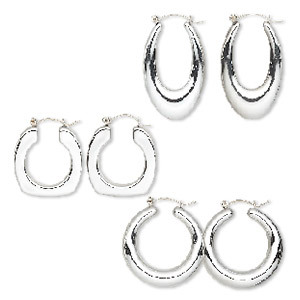 Sold per pkg of 3 pairs. 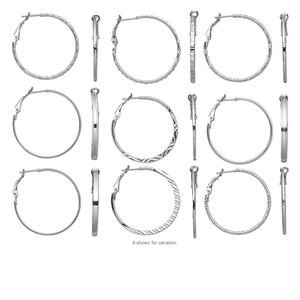 Earring, steel, black, 24-49mm round hoop with hinged closure. 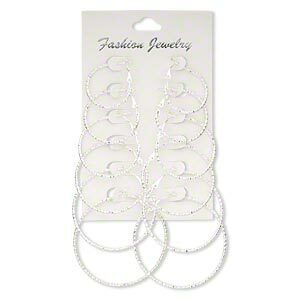 Sold per pkg of 6 pairs. 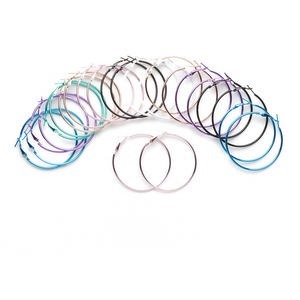 Earring, steel and stainless steel, assorted colors, 50mm round hoop with hinged closure. Sold per pkg of 12 pairs.